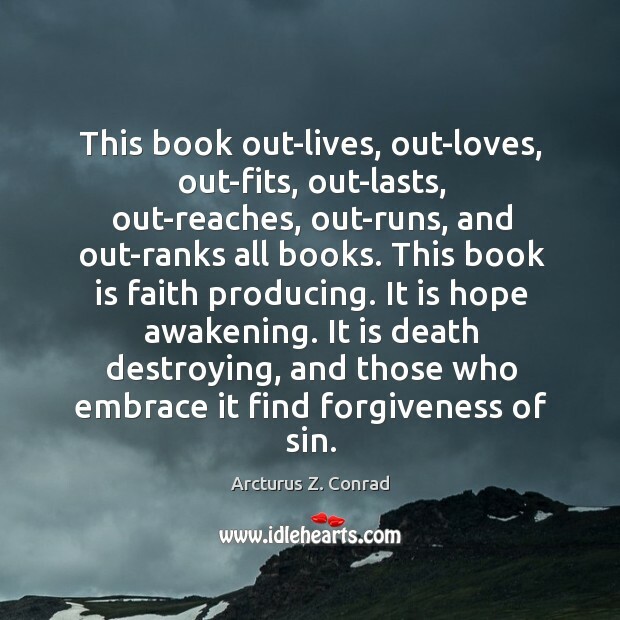 Enjoy the best inspirational, motivational, positive, funny and famous quotes by Arcturus Z. Conrad. Use words and picture quotations to push forward and inspire you keep going in life! This book out-lives, out-loves, out-fits, out-lasts, out-reaches, out-runs, and out-ranks all books. This book is faith producing. It is hope awakening. It is death destroying, and those who embrace it find forgiveness of sin.